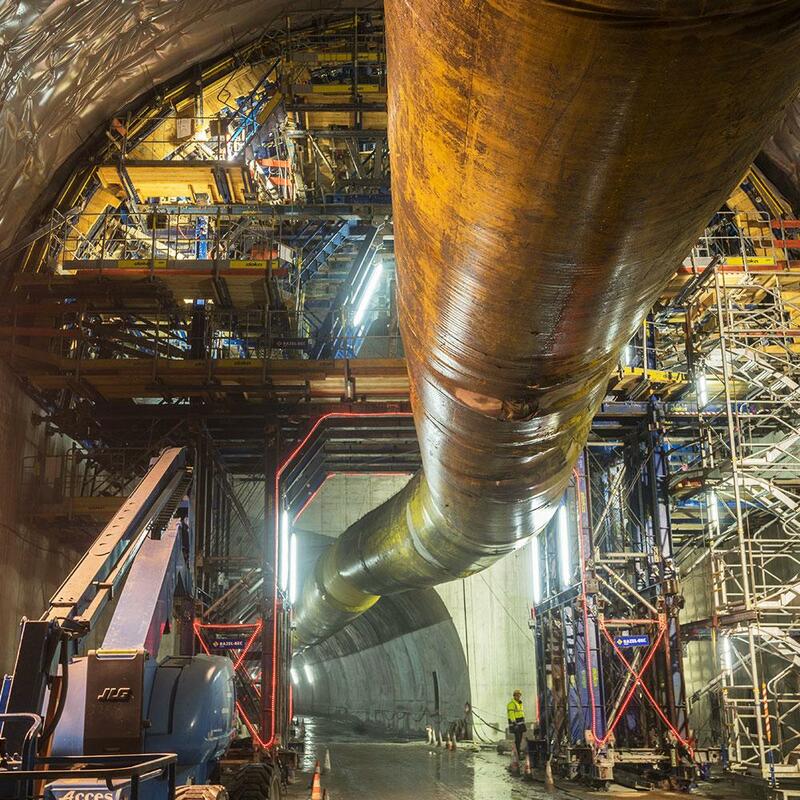 Close to the border between France and Italy, as part of the Fréjus Road Tunnel linking the two countries the inner shell of the starting cavern for the tunnel boring machine (TBM) is under construction. Project owner is French company Razel-Bec. The basic concept came from the engineers in Austria and was adapted by Doka France to national specifics. 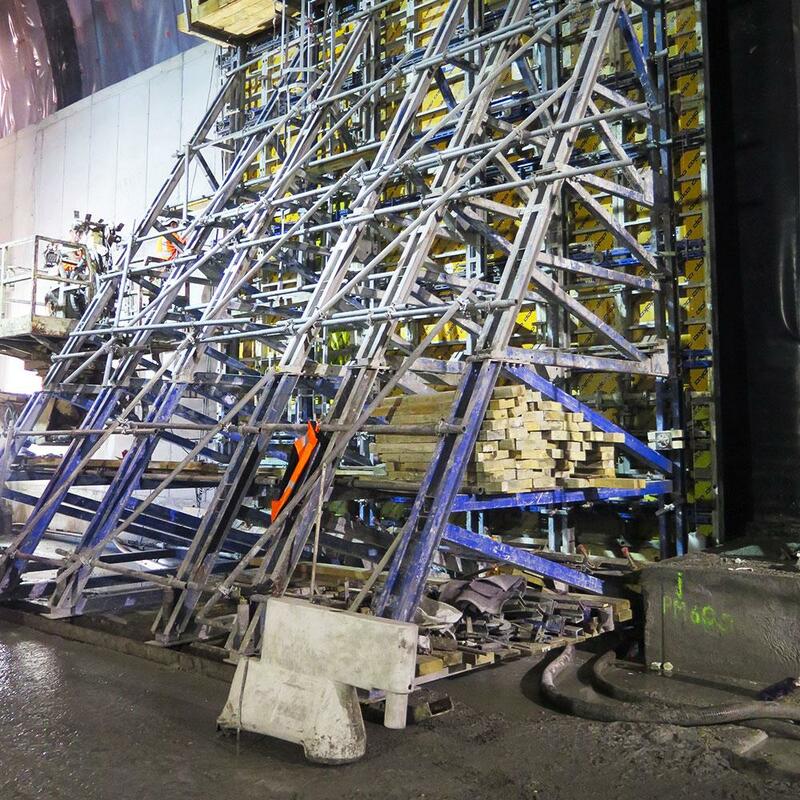 This applies in particular to the integration of edge protection systems and stair towers for safe vertical access to comply with France's extra-strict construction safety regulations. 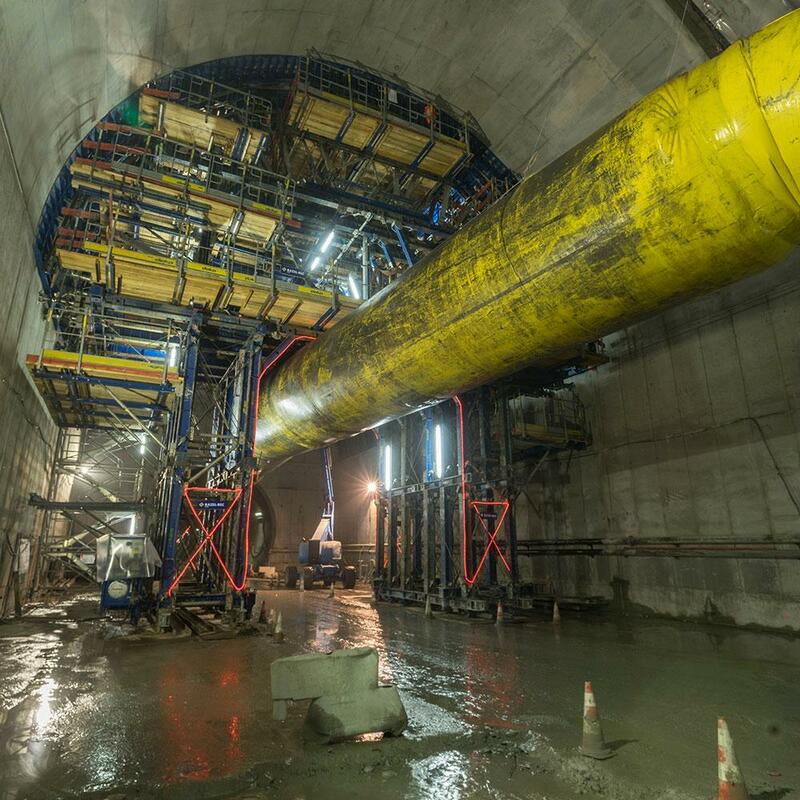 Steel panels SL-1, designed for the harsh requirements of tunnelling, were the ideal choice. These rentable panels are a new development. They adapted easily to the cavern's geometry and they have built-in interfaces for simple, safe installation of vibrators. Supplementary accessories helped optimise the process from concrete placement through to compaction, so the entire package was custom-matched to the client's requirements. 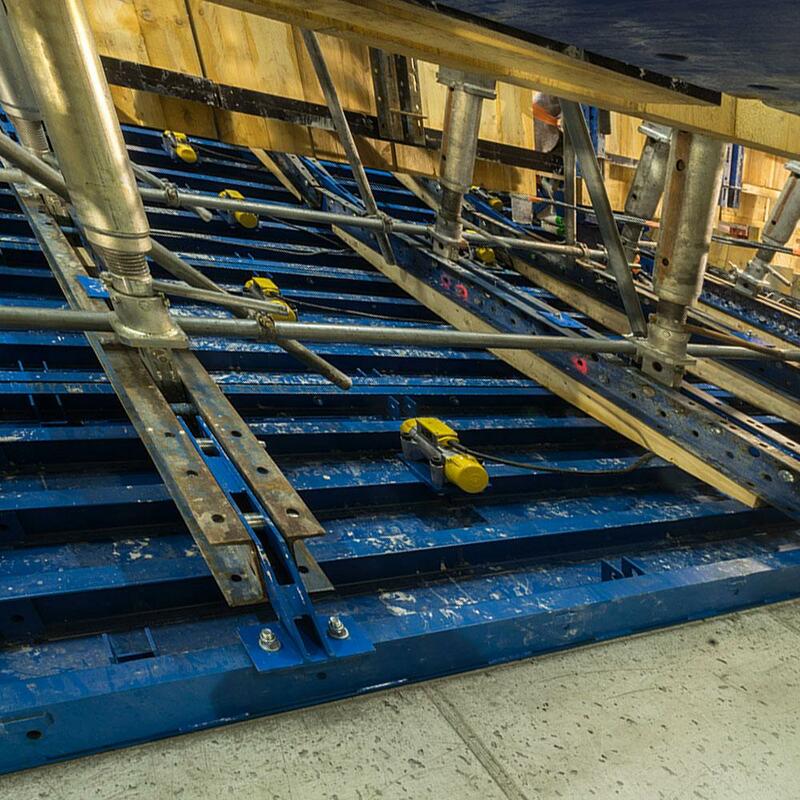 A great deal of attention was also devoted to safe assembly of the traveller and the rentable steel formwork. Support and consulting services established the trust necessary to win the contract. 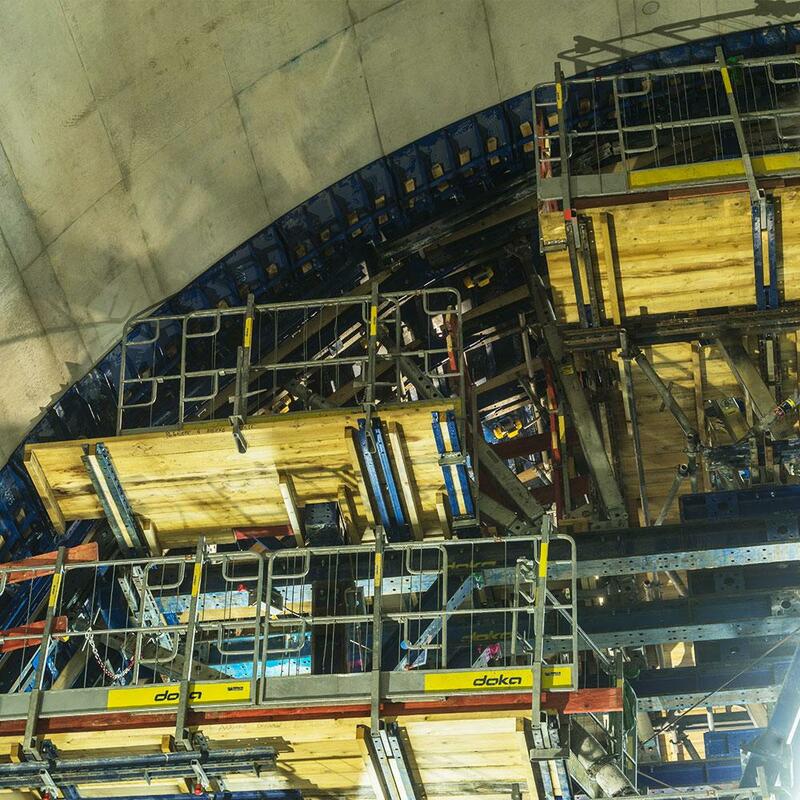 15.5 metres wide and 15.3 metres high, the cavern will be formed in six pouring sections within a period of three months. Thank you for your interest - Tunnel du Frejus. Thank you very much for your interest - Tunnel du Frejus.